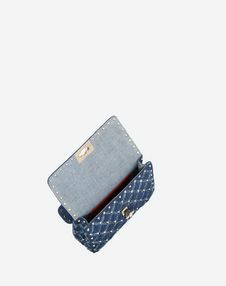 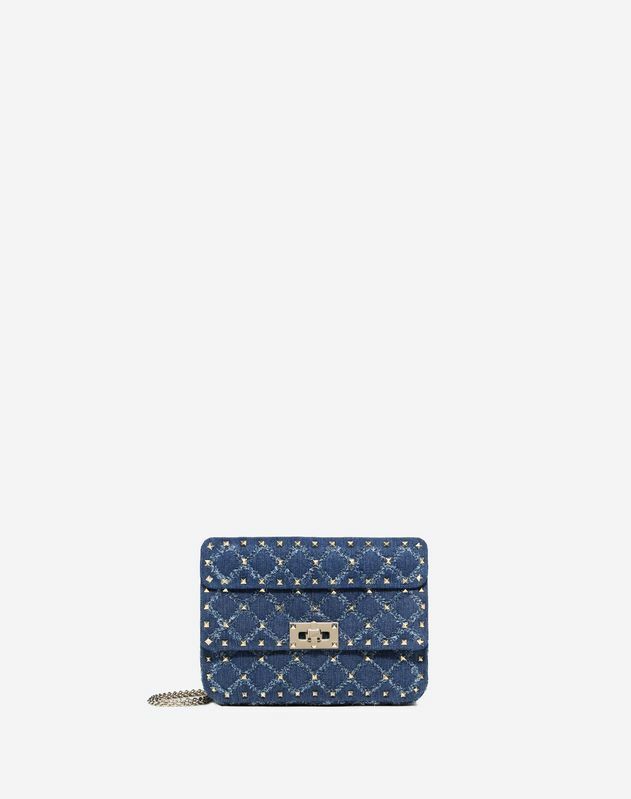 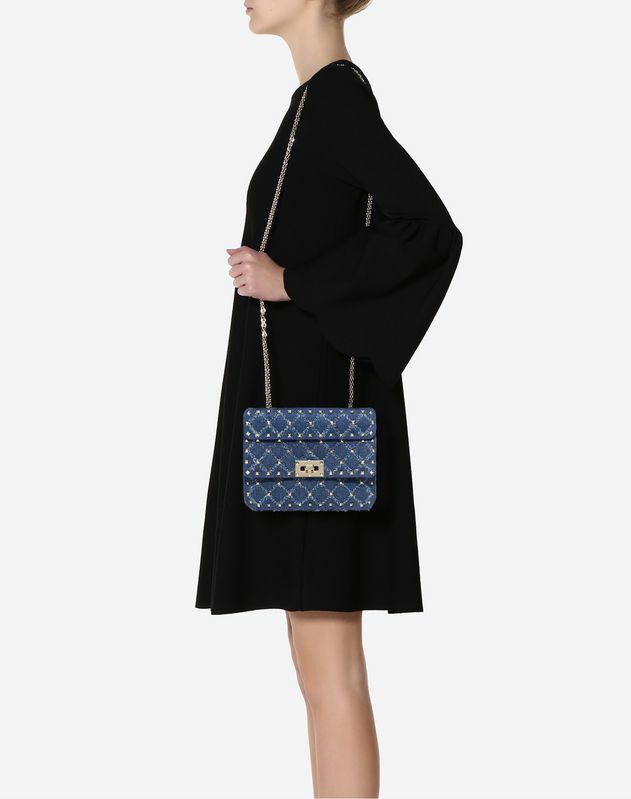 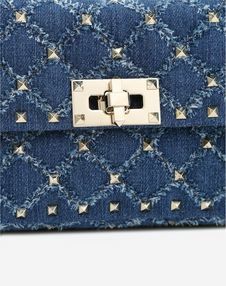 Small Valentino Garavani Rockstud Spike denim chain bag. 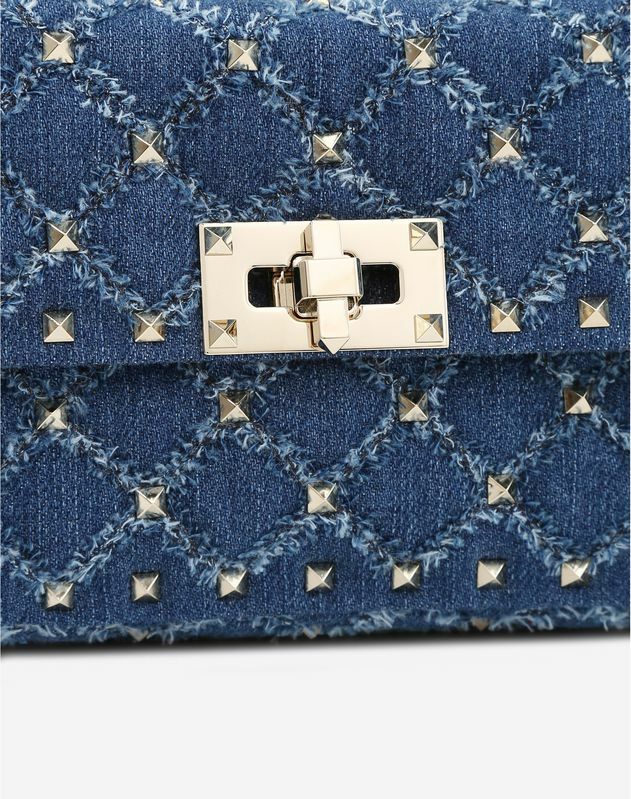 Quilted construction embellished with small studs. 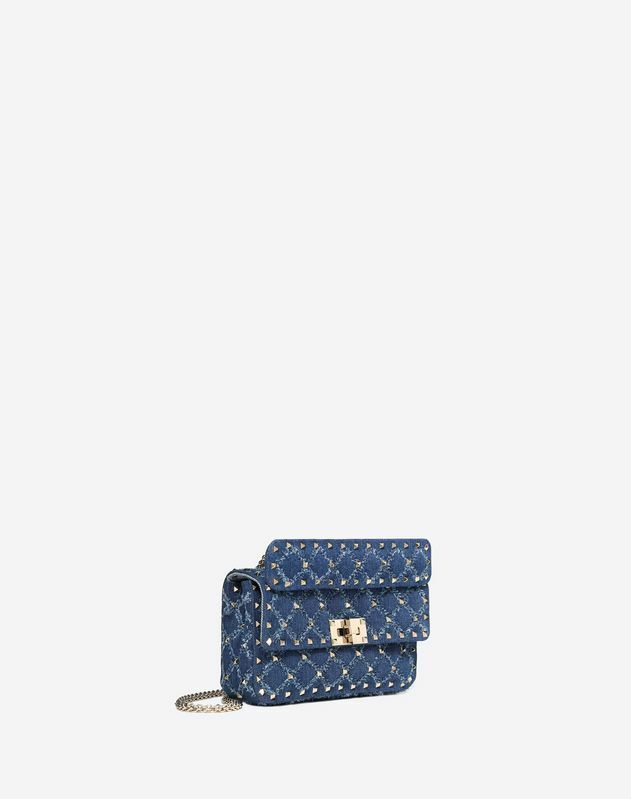 Equipped with a detachable handle and chain strap, this accessory can be worn as a crossbody/shoulder bag or carried by hand.